Just like a meticulously designed Montessori classroom can encourage order, independence and self-motivation, so too can a carefully crafted Montessori bedroom. 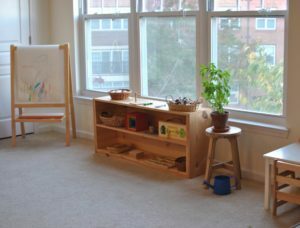 Bringing the Montessori environment into your home not only cultivates your child’s confidence but also serves as a bridge to what your toddler learns at school. A floor bed provides children with the ultimate form of independence. It allows him to easily climb in and out of bed without any extra help from his parents. This gives the child much more control over himself. Make sure that your child’s belongings – toys and clothes – are within their reach. 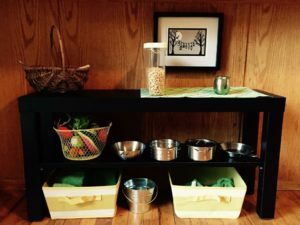 An easy way to do this is to set up low shelves or cubbies in the room to make their toys accessible and baskets to place books within arm’s reach. 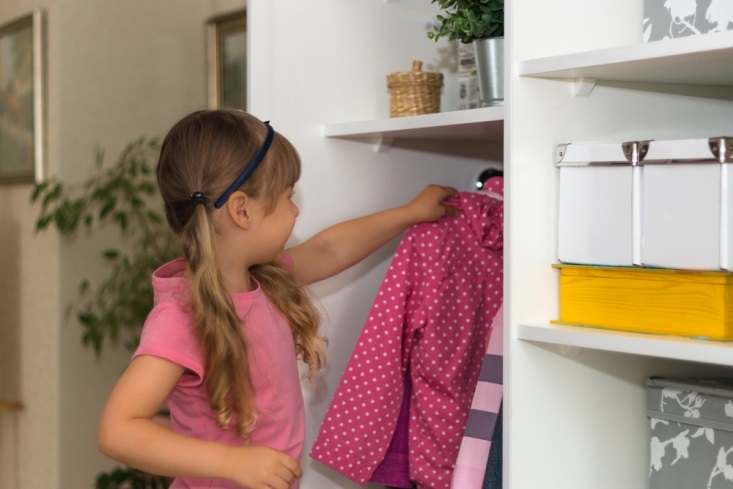 You can also install a lower rod in the closet so that your child can choose her own clothes. 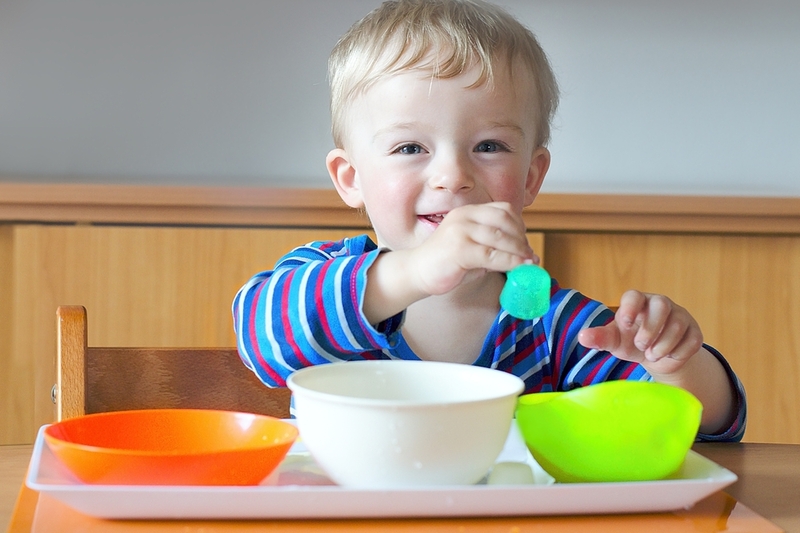 Being able to do this empowers the child by allowing her to make her own decisions. 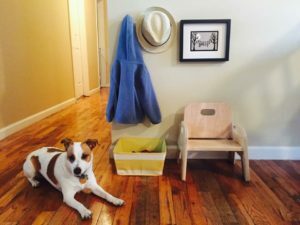 By adding a tiny table and chair, you can create a toddler-friendly work space, yet another way to foster your child’s ability to self-motivate. To make the environment even more appealing to a toddler, try adding a cozy beanbag chair or a tiny rocking chair. Either one would serve as the perfect place for your little one to settle down with his favorite storybook. 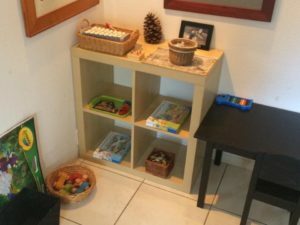 A Montessori space encourages simplicity and order. You can de-clutter by putting any excess toys or furniture in storage. This again goes back to the whole concept of scaling things down so that they are at your child’s level. By hanging paintings at a lower level, you give your child the ability to explore and interact with her environment. Hanging the paintings at eye level also give your child the chance to truly appreciate the artwork. Children love looking at themselves and admiring their own clothing selections and a mirror enables them to do this. 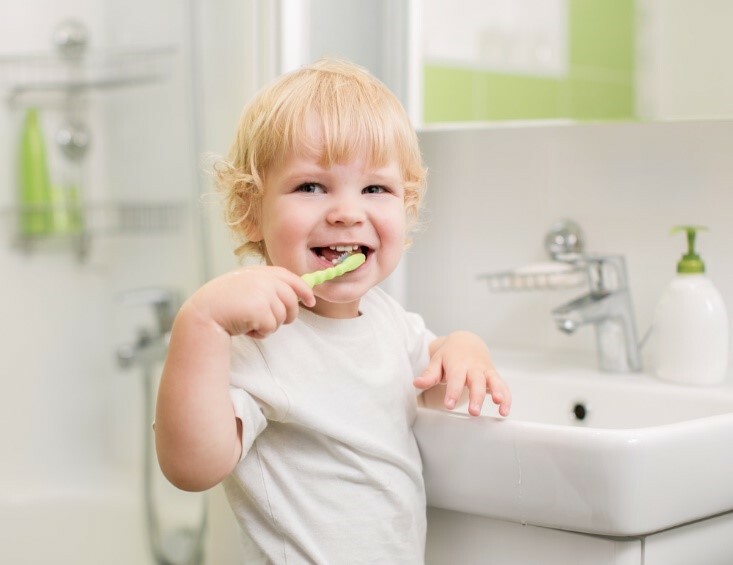 By hanging a child-height mirror in the room, you also promote self-care as it allows children to look at themselves as they get dressed and brush their hair. At Silverline Montessori School, we provide our students with a carefully planned Montessori environment that includes a wide variety of Montessori materials. Our classrooms are designed specifically to promote creativity, imagination, independence, and self-awareness.